The San Diego Union-Tribune hailed the Gemini Piano Trio as “mind readers” with “almost uncanny musical closeness.” The New York Concert Review by the late Edith Eisler referred the trio as “a model of classical elegance and restraint.” The trio was also praised for their “amazing virtuosity” by Music Monthly, as well as for their Taipei debut performance that “epitomized the idiom of chamber music” by The Taipei Times. 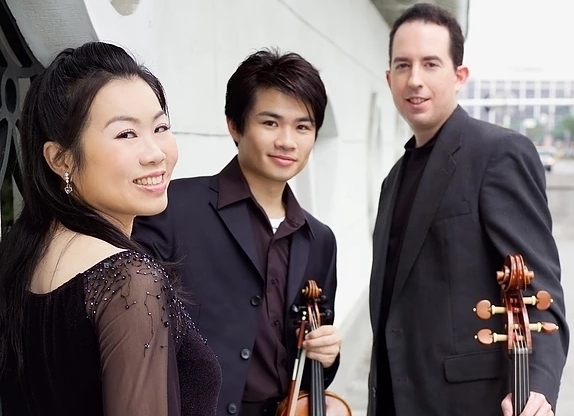 In addition to a sold-out debut concert at the Taipei National Recital Hall in 2008, the Gemini Piano Trio made their debut in 2010 at Carnegie Hall, also to a sold-out house. The trio is in their 23rd season as one of the few professional all-family chamber groups.